DJ Moxie is a born & bred London DJ who has carved a reputation as one of the finest performers and radio broadcasters. 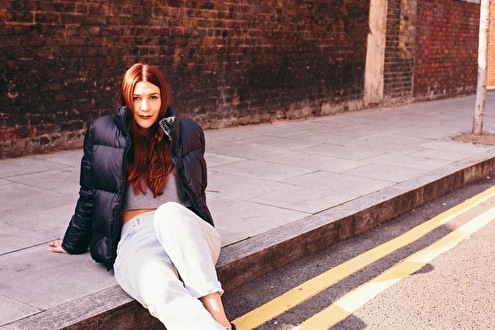 In 2013 BBC Radio 1 took notice and invited DJ Moxie to join their renowned "In New Djs We Trust" show & more recently invited her back again for their highly regarded 'Residency' show which airs monthly on Thursday nights 12-1am. Moxie has also been hosting her own show every other Wednesday on NTS Radio, since the station's inception. Past guests and exclusive interviews on her NTS show include Dusky, Kerri Chandler, Juce, Ben Westbeech and Jeff Mills. As an in demand host and DJ, you could also hear Moxie covering regularly for Sinden on Kiss FM and as a special guest on Rinse FM. In Moxie's sets you will find the latest dance-floor cuts and forgotten disco-edits while also extending into the realms of house, grime and hip-hop. With her incredible record collection, Moxie has built an infallible reputation as a leading curator of cutting edge music. This has led to performances at clubs around the world and festivals including Glastonbury, Gilles Peterson's Worldwide, Lovebox, Field Day, Dimensions and Secret Garden Party. In 2014 Moxie has been picked up on as one to watch by The Guardian, i-D Magazine, Time Out, Mixmag & Metro. There's no doubt that Moxie will continue to go from strength to strength in both broadcasting and on the dance floor.